When the National Endowment for the Arts announced the recipients of their 2019 Jazz Master Fellowships in June one name leaped off the page and immediately overshadowed all the others. It wasn’t the late Bob Dorough, whose masterful skills as a lyricist, vocalist and pianist had already gotten some degree of mainstream success through his contributions to ABC’s “Schoolhouse Rock.” Nor that of superb South African pianist Abdullah Ibrahim, or outstanding composer/pianist/bandleader Maria Schneider. On the surface, that seems quite valid. 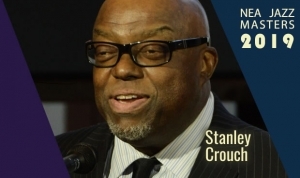 Crouch was once jazz critic for Players Magazine, later a jazz columnist at both Jazz Times and the Village Voice, as well as a general columnist for the Sunday edition of the New York Daily News. 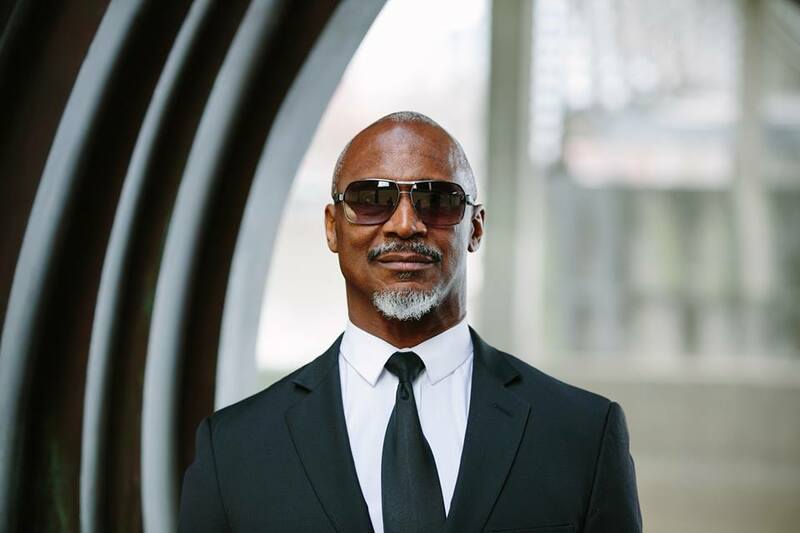 He’s both a co-founder and longtime artistic consultant for Jazz At Lincoln Center, has penned eight books, including the first of a two-part comprehensive biography on Charlie Parker, and also been a past winner of a MacArthur genius grant. Crouch also once booked acts at the Tin Palace, was a creative consultant for Ken Burns’ “Jazz” films, and appeared in subsequent Burns’ films on the Civil War and Jack Johnson. Upon reading a lot of this, it brought back some memories. For one, I remember during my time on the East Coast from 1978-88 just how influential Crouch was during his heyday at the Voice, and how much impact he had in shaping the opinions of Wynton Marsalis, from the time they first met when Marsalis was 17, to when he got his position with Jazz At Lincoln Center. That led to a companion position for Crouch, something that didn’t sit well with several prominent jazz writers, and triggered a wave of critical articles (many of them negative) on the Lincoln Center’s programs and orchestra makeup. It was also a reminder I hadn’t read much Crouch in several years, the last thing being the first volume of his Charlie Parker biography that was published in 2013. Before penning my views on this award, I decided to revisit some Crouch works, That turned into a two-week project where I re-read the following: “Considering Genius: Writings on Jazz,” “Always in Pursuit: Fresh American Perspectives 1995-1997,” ” The Artificial White Man – Essays on Authenticity,” and “The All-American Skin Game or The Decoy of Race.” If the library had had in stock “Notes of a Hanging Judge” that would also have been on the list. I avoided his novels and previously published poetry, and the Parker book was read recently enough to still be fresh in my mind. After that immersion, it’s very easy to understand Crouch’s appeal in some circles, and why he’s so detested in others. From a political standpoint, his contempt for Black studies programs, disdain for affirmative action, rejection of Afrocentric/Black Nationalist/Pan-African or Black Power rhetoric, and willingness to attack such beloved figures as Malcolm X, Toni Morrison, James Baldwin, and Alex Haley (to name only a few) has made him a hero in the conservative camp, even though labeling him that way isn’t totally accurate. Likewise, anyone who proclaims his inability to write is kidding themselves. No one wins Whiting, Jean Stein and Windham-Campbell Literary Prizes and Awards solely for taking an alternative view to prevailing trends in any camp. Whether one agrees with Crouch’s views (and many of them I don’t), he is an impressive and eclectic writer. Ironically, despite his professed animus of Amiri Baraka, it’s impossible not to see in much of his music criticism Baraka’s influence from a stylistic perspective. Both are fond of dramatic and highly personal approaches to music and personalities. Both have a fondness for deliberately exaggerated overstatement, and both are extremely knowledgeable in multiple areas of the music. Another irony is both have encountered lots of criticism for their attacks on the shortcomings of white jazz critics. Crouch’s famous (or infamous) piece “Putting The White Man In Charge” in Jazz Times isn’t that different from a pair of stinging Baraka pieces about white critics penned almost 50 years apart. So despite his insistence on calling him Leroi Jones rather than Amiri Baraka, and his consistent attacks on his work throughout the latter stages of Baraka’s career, Crouch’s writing retains elements that are extremely similar to someone he claims to despise. When writing or talking about the giants of jazz from its beginnings up to the ’60s, Crouch has often done exemplary work. It’s only when he moves into more modern times that his assessments and criticisms become suspect. His complete disdain of jazz-rock and fusion is rooted in his insistence jazz must be (at least predominantly) in 4/4 time and rooted in the blues. He views most avant-garde jazz as the inferior work of musicians either too lazy or unwilling to master the genre’s fundamentals, and feels their champions in the jazz press are equally unworthy. He has even less use for non-jazz idioms, completely dismissing rock and roll, rap, and other contemporary forms as amateurish, vulgar, cartoon caricatures, whatever derisive term you choose. His hostility towards late-period Miles Davis is well known, but he has even more animus for those who would label Prince and Michael Jackson as geniuses, though I’ve yet to see him attack Quincy Jones as vigorously. So much of Crouch’s hostility towards contemporary jazz dovetails with his disapproval of 21st-century Black culture icons. From Public Enemy and Spike Lee to Rev. Al Sharpton and Black Lives Matter, they are all con artists, frauds, even racists to Stanley Crouch. Ultimately, he views the bulk of post Civil Rights Black ideology as little more than a bad variation on German nationalism. Oddly, it would be easy to label much of his work as an amalgam of Ralph Ellison and Albert Murray musicology filtered through the lens of a Nathan Glazer or Arthur Schlesinger view of America. For Stanley Crouch, jazz and the Civil Rights era represent the best of Black America, and anything that doesn’t mirror those values as he interprets them is at best alien, and at worse bogus. This includes the use of the term African-American and in his view the overemphasis of current Black politicians and activists on the impact of systemic racism. While I join those who would have picked others for the A.B. Spellman Award (especially given how vastly different Spellman sees the world and jazz than Crouch) I can’t say he hasn’t been a champion of the music for decades. He just doesn’t have the inclusive view of jazz or the approach to music in general, many would like to see. Saxophonist and bandleader Karl Denson is quite a busy man. He’s played with a host of superb musicians, dating back to his days with Lenny Kravitz, and including collaborations not only with ace jazz musicians such as Jack DeJohnette, Stanton Moore, and Dave Holland, but also with the Blind Boys of Alabama, Blackalicious, Slightly Stoopid and Switchfoot’s Jon Foreman. He’s headed both a trio and a larger ensemble (Tiny Universe) for several years now, and has also toured with the Rolling Stones since 2014. His most recent release is “New Ammo” (Stoopid). He recently appeared in Nashville at the Exit/Inn and took a few minutes to talk to Giant Steps. Denson’s responses are in quotes. You enjoy playing in a variety of idioms, both with your groups and as a sideman. Do you have a favorite style? “Do you feel that perhaps there’s been a tendency in some jazz circles towards being so serious and focusing so much on the jazz aesthetic that the music is seen as overly academic? Would it then be accurate to say that as a composer, the rhythmic aspect takes precedence over everything else? You’ve played with the Rolling Stones for quite a while now. Do you ever offer ideas or have any input in terms of songs? Your musical experiences and collaborations are very diverse. Are there people or areas that you haven’t yet covered that you’d like to in the near or distant future? What is it about their music that attracts or interests you? In terms of the saxophone, who would you consider either influences or people you really admire? This isn’t your first visit to Nashville. Do you enjoy playing here?